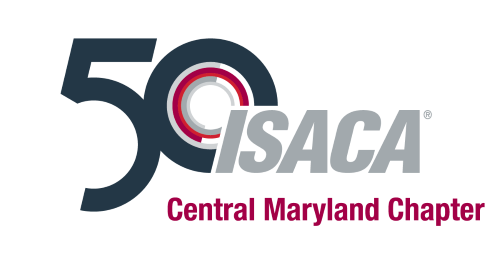 ​The ISACA Central Maryland Chapter invites you to our training event on Wednesday, March, 13, 2019. Earn 3 CPEs toward your CISM, CISA, or other certification. The training session is conveniently located at The Conference Center at the Maritime Institute of Technology (CCMIT) in Linthicum Heights, MD. Come learn about the CMMI Cybermaturity Platform from CMMI Institute, an ISACA Enterprise. The CMMI Cybermaturity Platform is designed to help you get there. Providing a risk-based approach to measuring and managing security risks in the context of your business mission and strategy, this cybersecurity capability maturity model solution: Offers a unique cybersecurity risk assessment framework to simplify security gap analysis. Topic #1 Speaker: Tom Conkle & Kelly Hood G2-Inc.
Topic #2: Data Minimization: Storage Is Cheap, Securing Data is not! In data centric world we live in we are not paying attention to how much more data we are storing than we really need. Storage is cheap but security is not! More data means more responsibility to secure it and more liability on your financial books. In this session we will learn how “Data Minimization” can help your company reducing your business risk. Late Registrations/Cancellations: Registrations after Friday, March 8 additional $30.00. Please note that space is limited and registrations will be filled on a first come, first served basis. Refunds will not be given after March 8, although attendance is transferable. ISACA Central Maryland Chapter reserves the right to cancel this event if there is insufficient participation or due to inclement weather. Participants will be notified in the event that the monthly meeting has been cancelled. Select "Register Now" to register and obtain more information about topics and speakers.